Note: This page is for informational purposes only. As of March 7, 2019, the Google+ API has been shutdown and is no longer accessible. For more details, please see Google’s announcement here. Google+ (Plus) is the social network and identity service operated by Google. Since they opened their network to business pages, many marketers have hopped on the bandwagon. As such, we’ve also integrated the Google+ API to help you track your social performance! 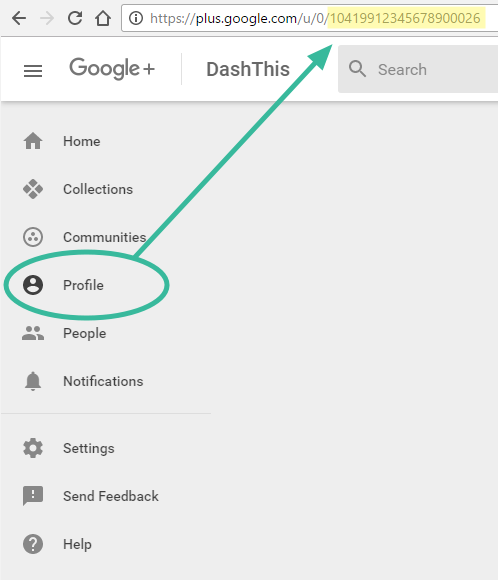 Connecting Google+ to DashThis requires 2 quick steps. 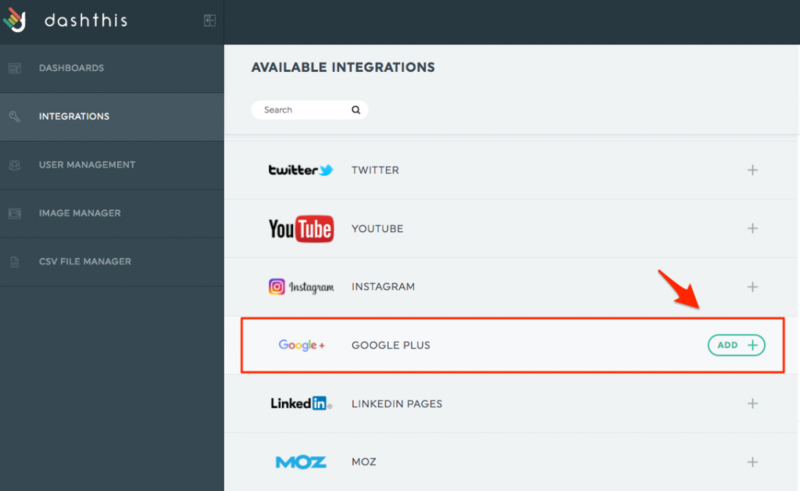 – In the Integration Manager, choose Google+ and click on Add. – You’re then redirected to Google+. Sign in as usual. The integration is now added to your DashThis account! Now that DashThis has access to your data, you have to add your sources manually. 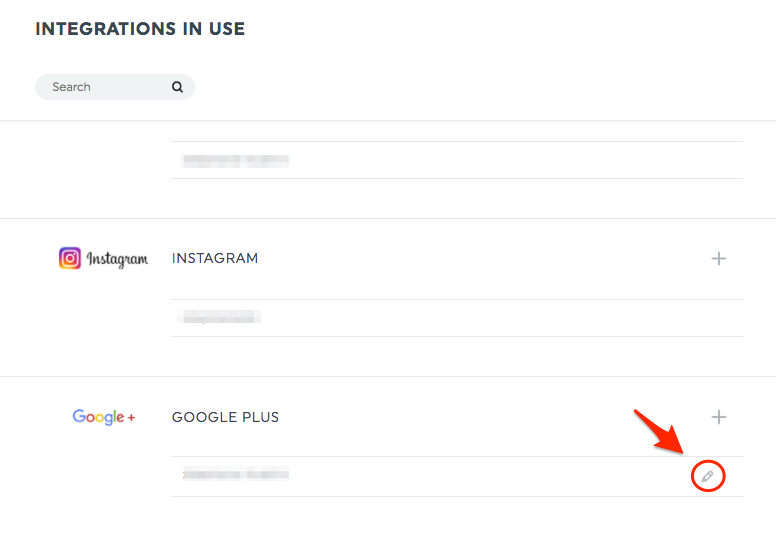 – Under the section Integration in use in the Integration manager, find Google+. – Click on the pencil icon located next to your account. Provider Key: It’s your Account ID. To find it, sign in in your Google+ account, and go under the section Profile. The account ID is in the URL. – Enter this number in the box Provider Key in DashThis, and click on Add Client. There are no Google+ dimensions available at this time, only metrics. There’s no historical data in the API at this time, only current data. However, we keep an internal history, so you can still see the evolution of your numbers over time. This entry was posted in Integrations and tagged Google+, Managing Integration. How to create a dashboard using Facebook Ads?